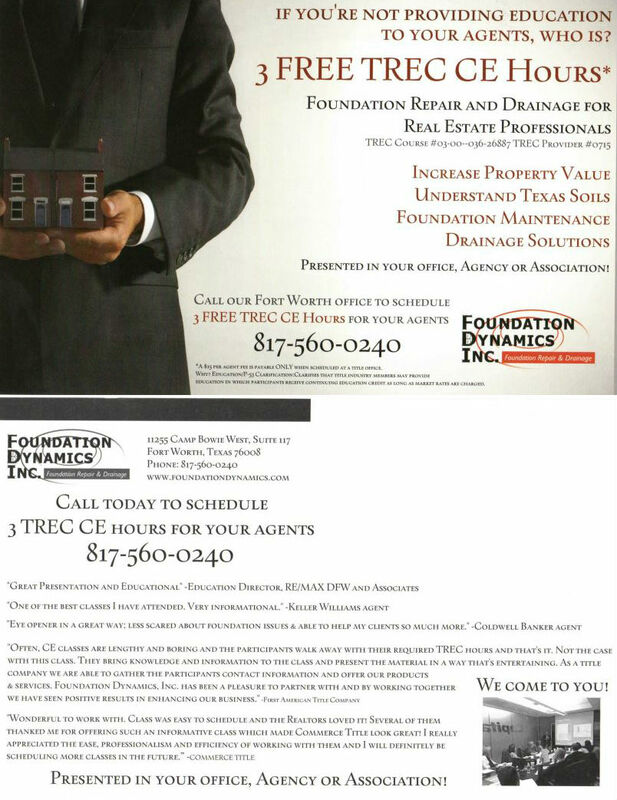 Foundation Dynamics, Inc. is an approved provider of TREC CE to better meet your education needs. 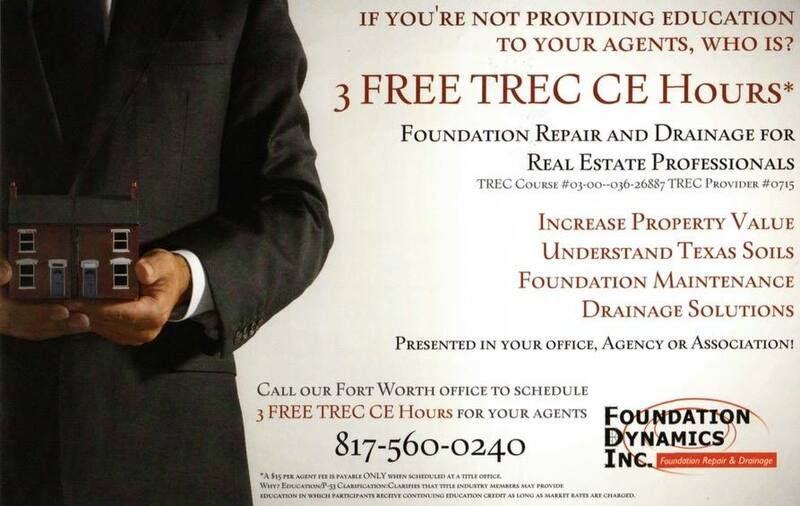 As a TREC Provider, we come to your office, agency or association and provide 3 CE Hours to you, your agents and business associates. 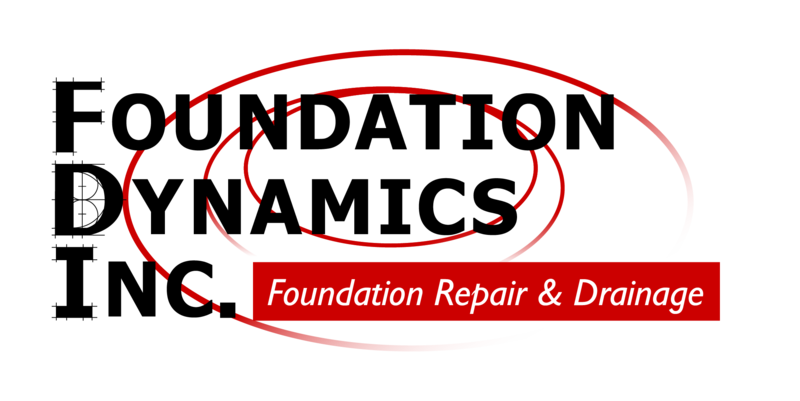 In addition to obtaining current and accurate information about foundation repair and drainage in today’s market, you can gain 3 of 9 elective credit hours of non-legal CE required by §1101.455. *A $15 PER AGENT FEE PAYABLE ONLY WHEN SCHEDULED AT A TITLE OFFICE. Contact us below with your questions and contact information! 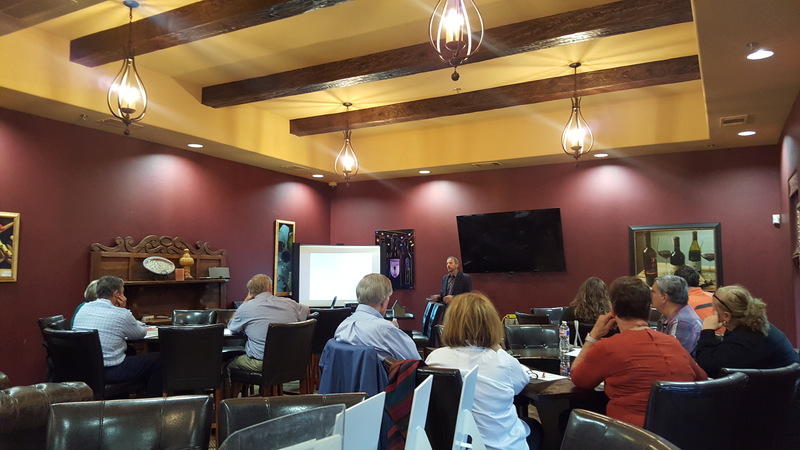 Want to learn more about our on-site education?